Recently, the practice of flossing has seen some controversy in the press. Some sources suggest that there is no real evidence that flossing helps your oral health. While the evidence of flossing is mixed, it is still a good idea to incorporate it into your healthcare routine. With advancements in technolgy and all of the different types of floss available, finding a convenient method of flossing is easy. There are gaps between our teeth that even a small, round-headed electric toothbrush cannot reach. Food and drink particles can become lodged in the spaces between your teeth. Some of the particles are so small that they cannot be seen by the naked eye. If not removed regularly, the bacteria in these particles can create a substance known as plaque. Plaque is the primary cause of tooth decay. The bacteria in plaque can irritate your gums, causing them to become sore and bleed. When gum disease progresses, it can become a complex and serious issue that needs immediate attention. Poor oral health has been linked to a variety of serious health conditions, including: dementia, diabetes, and even heart disease. Removing the debris that become lodged in our teeth is essential for maintaining strong, healthy teeth and gums. Flossing is the easiest proven solution for cleaning the gaps in our teeth. There are lots of different types of dental floss and floss alternatives on the market. To help you decide which is right for you, we have compiled a little information on each below. Ease of use: String floss is relatively easy to use once you get your technique down pat. Simply wrap some of the floss around each of your middle finger, leaving a small gap in the middle which you use to floss. Then unravel a new section for each tooth. Quality of the clean: One of the best things about string floss is that it can be scraped up against the sides of the teeth to remove any stubborn plaque. Not all alternatives can provide this scraping motion. Convenience: String floss comes in a tiny container which can be slung into your purse or pocket. Cost: String floss is very affordable, making it a good option for pretty much everyone. Single filament varieties are usually at the more expensive end of the price range due to their durability, but should still cost no more than $5 per purchase. A modern alternative to traditional flossing, water flossers are particularly popular with those who struggle to master the technique of using string floss. It is also suggested as a viable option to some orthodontic brace-wearers. Ease of use: A water flosser provides a pressurized jet of water that can be aimed at the gaps in between the teeth with the aim of cleaning out the debris and washing it away. Quality of the clean: There is a lot of debate over the consistency of the clean offered by water flossers. They lack the scraping motion necessary to remove stubborn plaque, so many dentists often recommend a water flosser as an additional tool for oral care to be used alongside traditional string dental floss. Convenience: Most water flossers require a power outlet, and many people have limited power points in their bathrooms. If you opt to get a water flosser, you may need to install additional sockets. Newer versions are more compact than before, but they are still not as flexible or convenient as string floss. Cost: An initial investment in a water flosser could set you back upwards of $70, but the convenience and benefits are priceless. Floss picks combine the accessibility of traditional string floss with a convenient easy-grip handle. This makes them a great solution for people with reduced dexterity. Ease of use: For some people, floss picks provide more maneuverability than traditional dental floss thanks to the larger handle. Quality of the clean: Despite using string floss, floss picks are generally considered to be less adept at interproximal cleaning because it is impossible to bend and flex them sufficiently to hit every crevice and bump between your teeth. They also lack the ability to get into the gum line to perform a thorough clean. Convenience: Floss picks are relatively compact, making them a convenient solution when you are on the go. Cost: Floss picks are also affordable, priced at only a little more than standard string varieties – which probably covers the cost of the plastic handle. With several solutions on the market, a quality flossing experience is more accessible than ever. Take steps to look after your long term oral and general health and start flossing today. 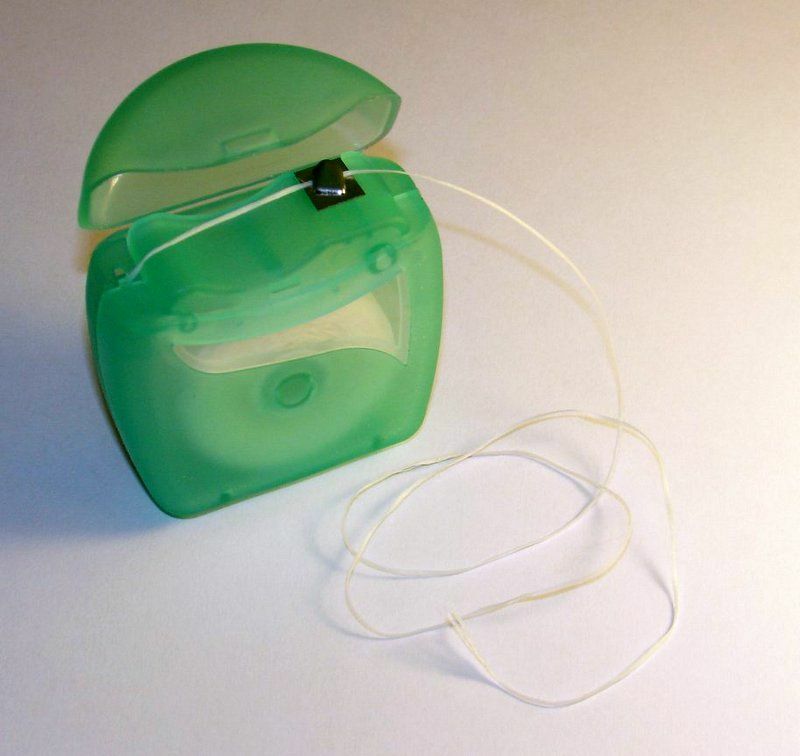 If you're curious about which kind of floss would work best for your unique oral health situation, our staff at Vero Dental Spa would be glad to offer recommendations.